Buy 24 or more for $1.89 each. 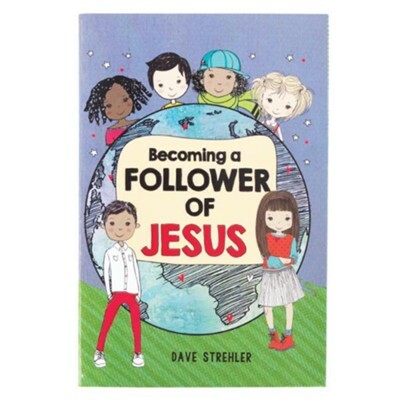 Encourage your children's walk with God with the Becoming a Follower of Jesus pamphlet. Designed for ages 6 to 10 years, this evangelistic tool provides clear explanations in a relatable style ideal for kids. Perfect for children's ministry or handouts. Measures 6" x 4". I'm the author/artist and I want to review Becoming A Follower Of Jesus Gift Book.